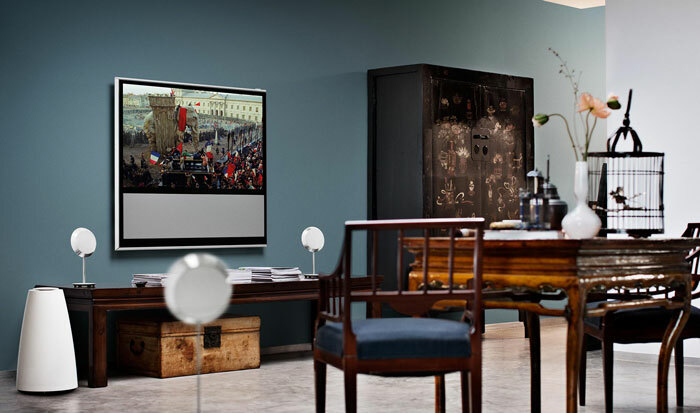 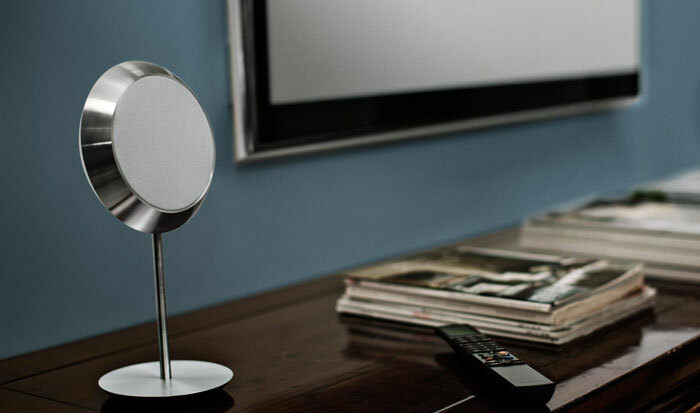 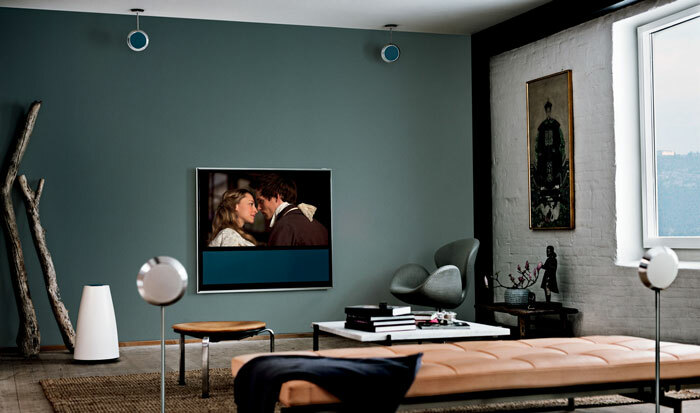 Bang & Olufsen’s Beolab 14 surround system is designed to work with your decor. 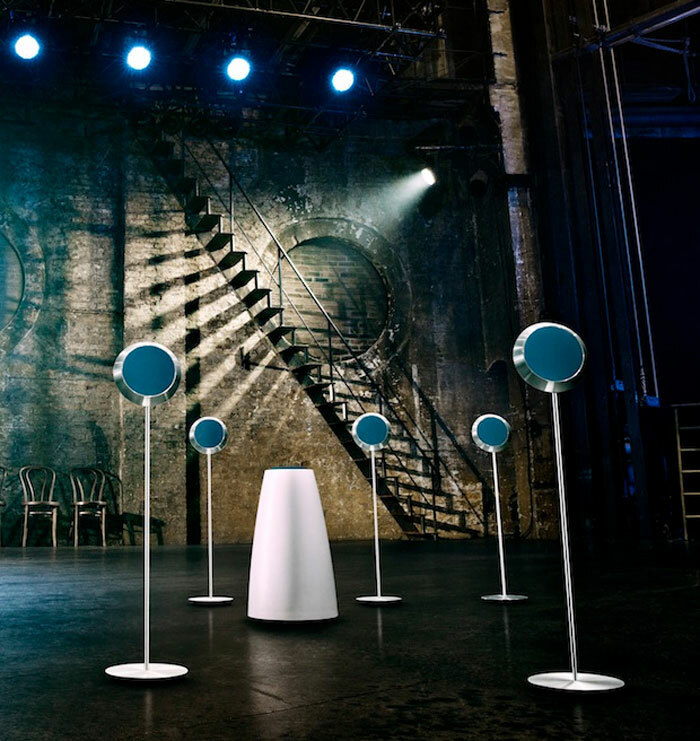 Its clean, minimalist design means the sub and satellite speakers will blend into the background while producing theater quality sound. 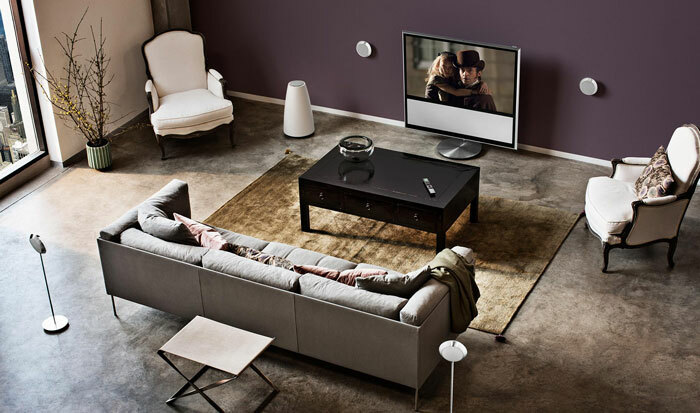 The subwoofer also offers adjustable audio modes for perfect sound anywhere you put it: against a wall, in the corner, or on “free” mode when it’s in the middle of the room.